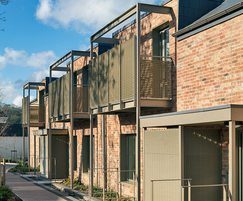 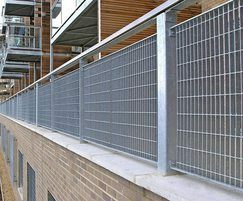 Balustrades and balconies: steel grating panels are supplied framed to custom-sizes with bracket fixings, or holed for bolting into a secondary framework. 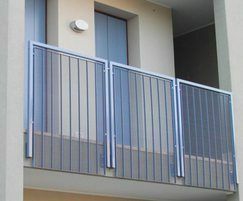 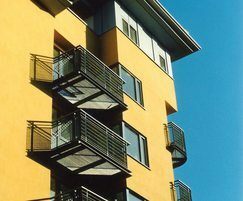 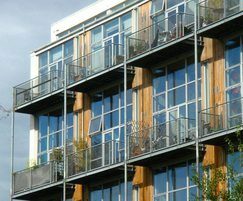 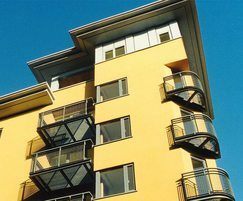 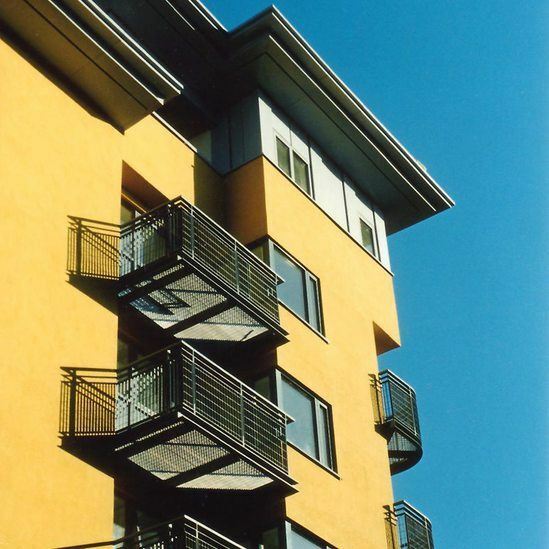 Gratings with small apertures are recommended for residential balconies and can be supplied from a comprehensive range of either pressure locked or electrofused products. 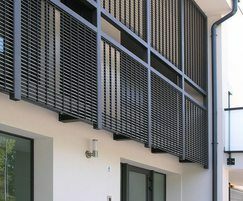 The depth and spacing of the flat bar combined with its orientation can create alternative and distinctive visual effects. 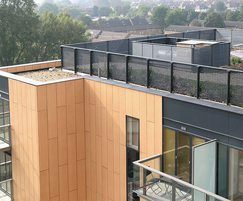 Louvred panels from the Italia or Delta ranges are recommended where greater visual screening is required for balconies or roof-top gardens. 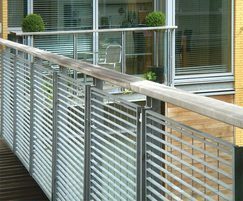 Balcony decking can also be supplied manufactured for steel gratings or specialist products. 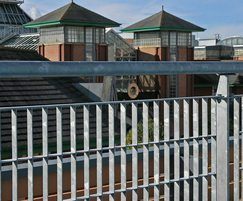 Panels are hot-dip galvanised; an additional polyester powder coating si also recommended for residential projects for a smooth, easily cleaned and maintained finish. 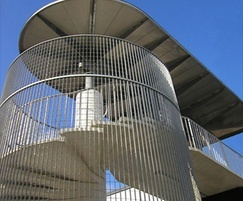 Lang+Fulton offers multi-purpose grating in a wide range of mesh sizes. 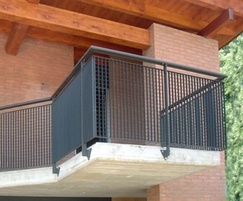 The electrofused manufacturing process provides complete integrity of the grating material so that it can be holed, cut, or shaped to fit any opening.